German MEP and CDU party of Germany, also the head of the European Parliament Committee on Foreign Affairs, David McAllister warns in "Die Welt" the growing Russian influence in the Balkans. In an article of Monday tittled "The Balkans are a region of high risk," the newspaper "Die Welt" writes that if the European Union not enough problems with Brexit, populism, Trumpi and Turkey, now in front of the EU ports the tensions are rising. In many Balkan countries there are problems. At the same time Russia, Turkey, China, Saudi Arabia and Qatar strive to increase their influence in the region - a dangerous mix. 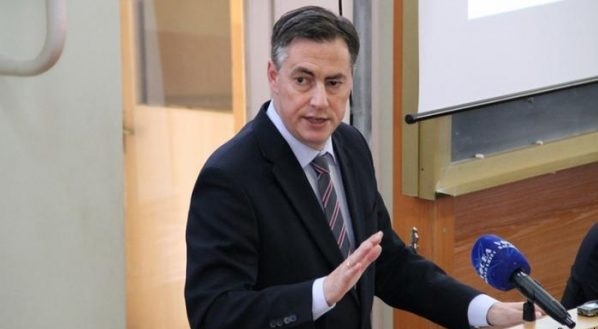 The head of the Commission of the European Parliament ofr Foreign Policy, David McAllister (CDU) states that "The Balkans is a region with high risk, where in a short time an irresponsible act could reignite conflicts that we believed were overcome." EU seeks to counteract this risk by bringing a new atmosphere in the accession talks. Hope does not have just Serbia, writes "Die Welt", but also Albania. McAllister states that "according to the European Commission, Parliament and government, this country is on the right track. Albania's EU membership talks could be opened within the next 12 months, at least in 2018 ". McAllister praised the deal of Tirana political parties on judicial reform. "This has been an important criterion for the start of negotiations. When negotiations begin, from at the beginning will be opened the issue of the rule of law," he said. Yet McAllister sees far away Albania's EU membership.